It might be hard to believe, but there’s some goodness hiding away in that glass of red wine you treat yourself to in the evening. 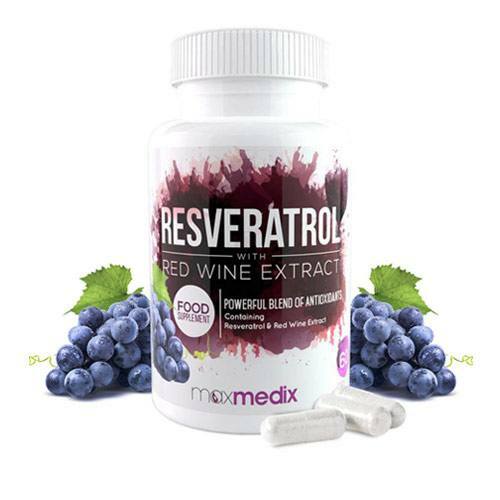 There is natural phenol called resveratrol in red wine, which is known to be rich in antioxidants. 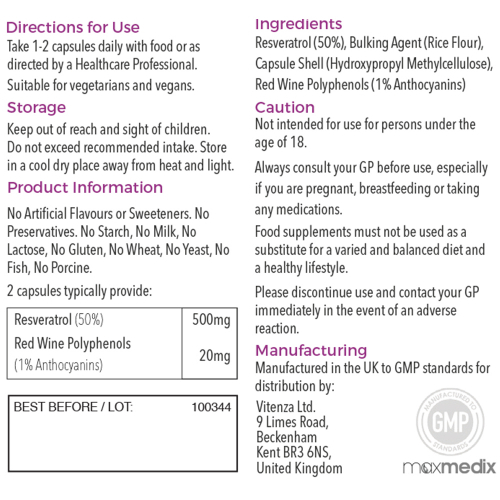 Our Resveratrol supplement isolates this active component in a capsule form, so that you can all the benefits, without fears of a hangover! Antioxidants have been shown to help protect against free radical damage. Therefore, it is important to have them feature in your diet, in order to help protect the immune system and other cells around the body.